A 70 year old woman was fatally hit by a SUV in Chinatown early this morning. According to the NY Daily news, the SUV driver was waiting at a red light on Elizabeth Street and Canal. When the light turned green, the man started to drive. He didn’t see the woman crossing in front of the car and hit her. 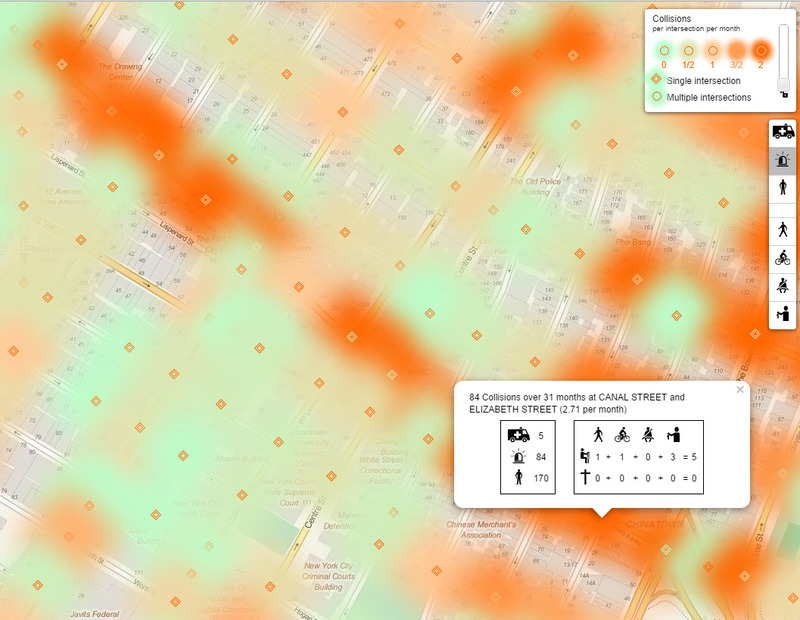 The nyccrashmapper.com heat map highlights how dangerous Canal Street is. There is an average of 2.71 accidents per month at the intersection where the woman was hit by the SUV.